As moms we often times become so busy with our children that we forget about ourselves. I can't tell you how many times I've heard moms talking about how their children look like baby Gap models and they look like a walking dead extra. 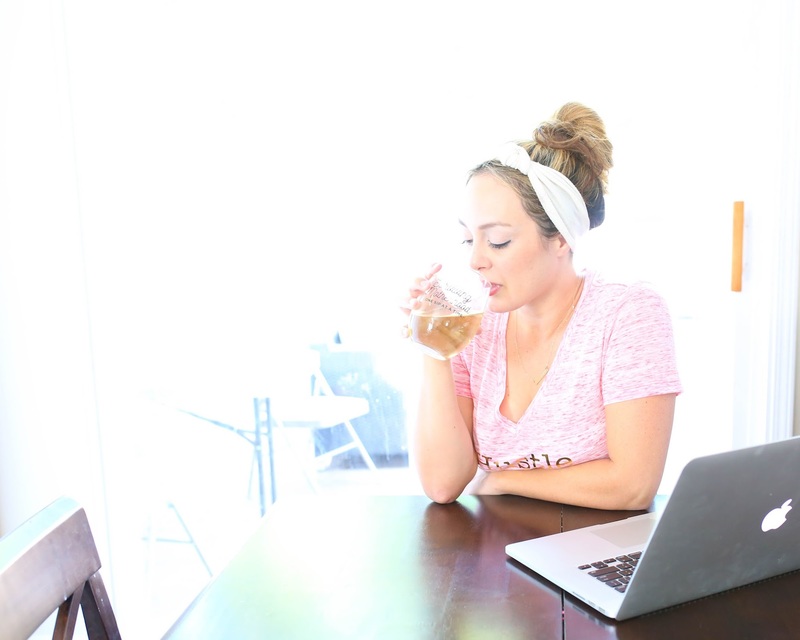 And while I do find that quite funny (and sometimes true for even myself) I also realize the importance of taking care of mama too... which is why I want to share 5 AWESOME small shops AND discount codes for all my mama's out there! Mommy-ing is hard... like really hard. 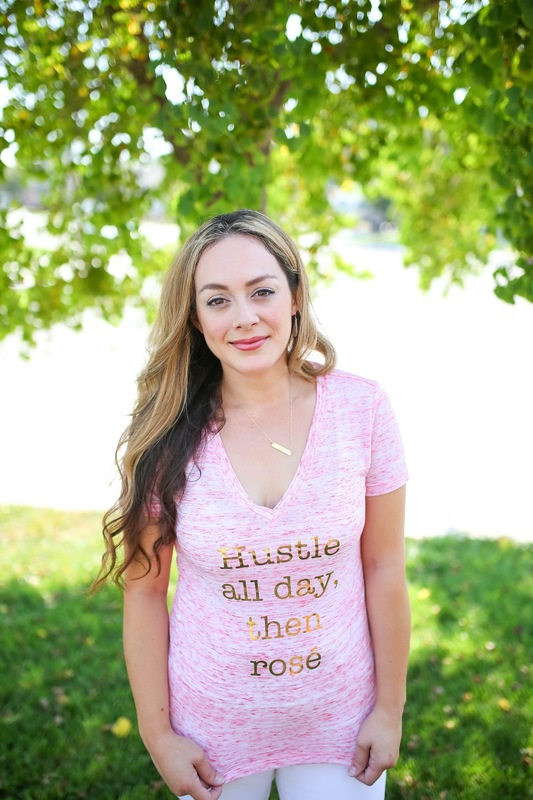 You could say I feel like I'm hustling through my day most (every) day and so when I saw Huddy Drew's newest tee design "Hustle All Day, then Rosé" tee I just knew I had to have it! Shop Huddy Drew and use promo code: TAKE15 to save 15% off your purchase! Because I can't recommend the Huddy Drew Clothing tee above and not recommend the perfect wine glass to pair with it! 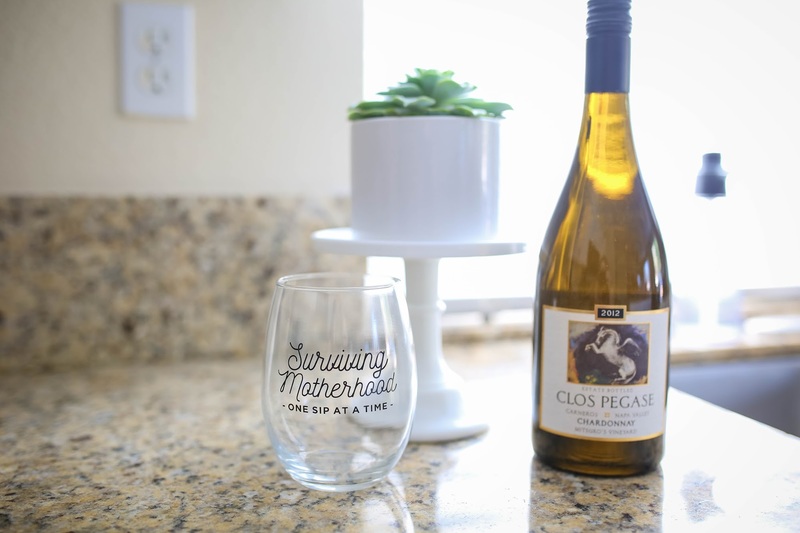 I love the "Surviving Motherhood One Sip at a Time" saying on this glass - because let's face it - its totally true, whether your poison is wine, coffee or perhaps even tea! Obviously this wine glass is not meant for hot beverages but if you are not a wine drinker it is important to point out that this saying also comes on a super cute travel mug. 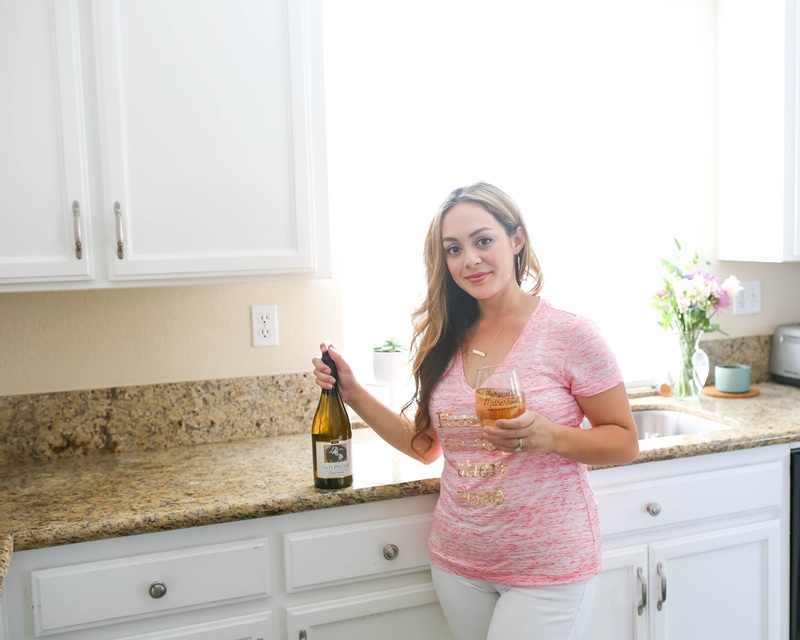 If you aren't already, make sure to give Mom Life Must Haves a follow on Instagram (@momlifemusthave), you will love their entire "motherhood" line! Shop Mom Life Must Haves and use promo code: BAMBINI to save 15% off your purchase! 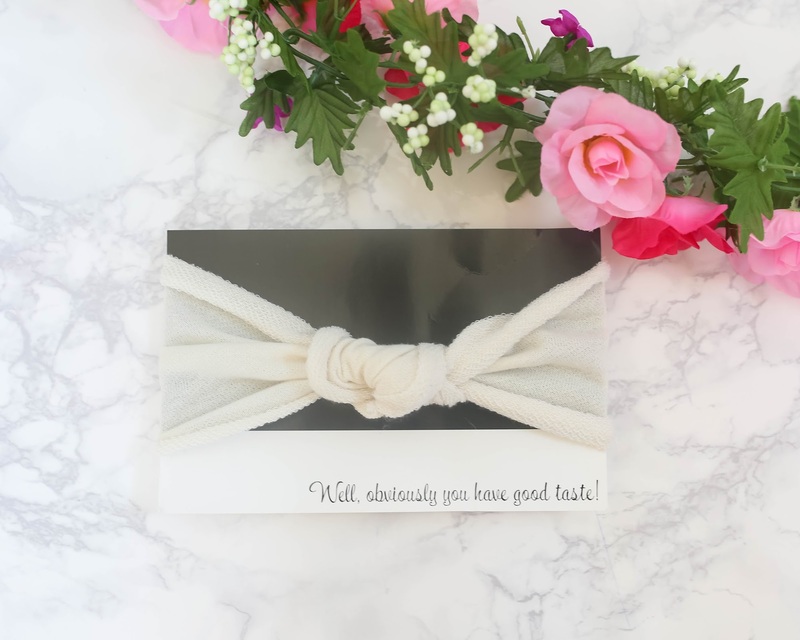 Shop Noxx and use promo code: BLOG to save 25% on any headband purchase thru 9/30/16. Because sometimes mom deserves something shiny and pretty! Plus, who doesn't love a little bit of bling? B. Stamped is recently new to me and I just have to gush about how much I love my necklace and leather earrings from them! This gold filled necklace is so dainty and elegant, yet perfect for every day wear. I can't tell you how many compliments I have gotten on it, I love it so much! 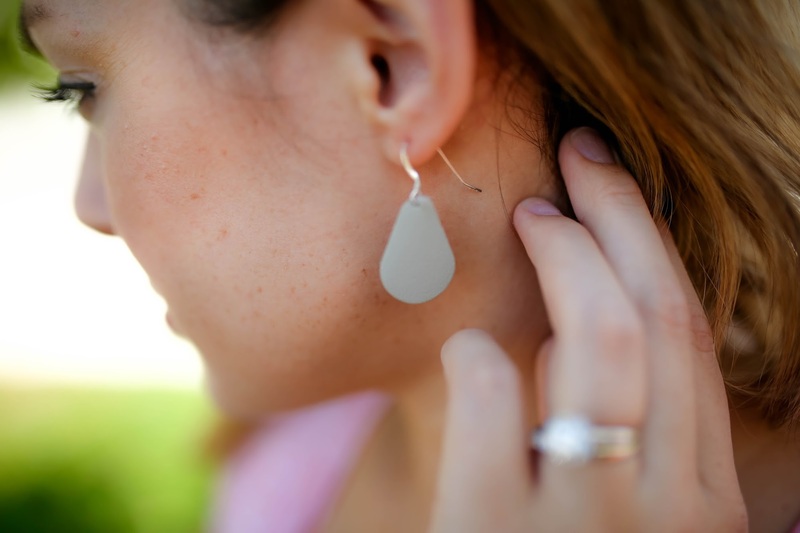 The neutral coloring of these leather earrings makes it easy to pair them with just about anything and I always love when I don't have to over think my outfit... no one has time for that! LOL I don't wear earrings too often but when I wore these I felt a little bit like the pre-mama me and it felt nice! You'll want to be sure to give B. 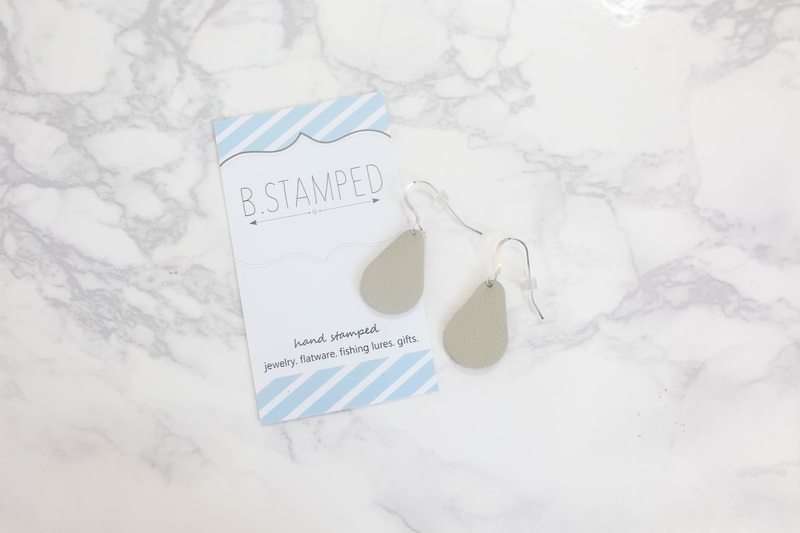 Stamped a follow on Instagram (@bstampedbritt) to keep up with their beautiful jewelry line... trust me, you won't regret it! Shop Bstamped and use promo code NOXX35 for 35% off your purchase! I have a confession to make. I am TERRIBLE at taking proper care of my skin lately. I'm lucky if I'm able to remove my eye makeup before bed, let alone actually wash my face.... and I know how bad that is and I'm trying really hard to be better about it. 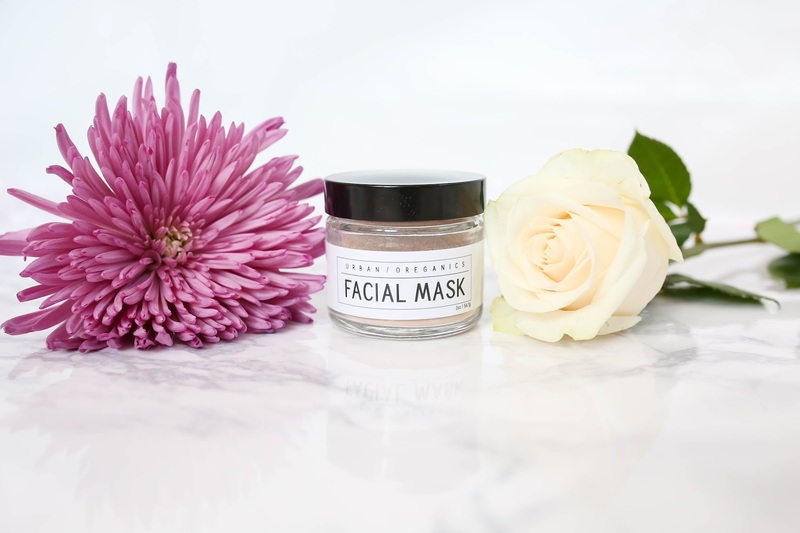 This is one of the reasons I couldn't wait to try out this Urban Oreganics face mask. I must admit I was also very curious about how well a 100% natural, vegan and organic face mask could actually work. Let me tell you, it does NOT disappoint! My skin felt incredibly soft afterward and actually makes me want to be 100x better about taking care of my skin. I'm actually still sitting here rubbing the back of my hand over my cheeks because I'm amazed at how nice and smooth it feels! 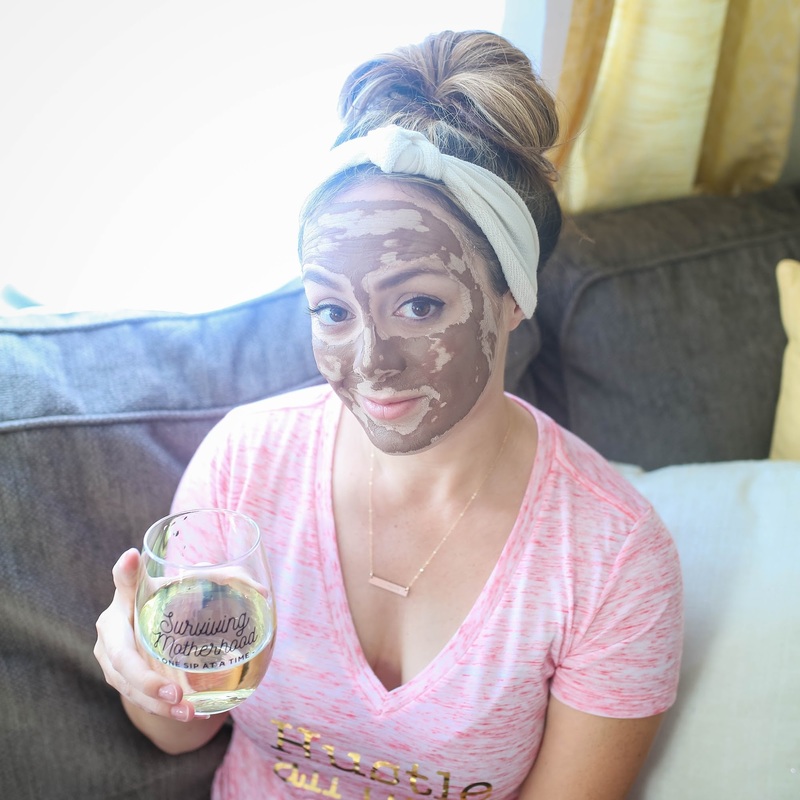 LOL All moms out there deserve to be pampered and this face mask is nothing short of pampering your thirsty skin. Trust me ladies, you need this in your life! If you are not already following Urban Oreganics on Instagram (@urbanoreganics), go now! You will love their natural, organic products! Shop Urban Oreganics and use promo code: NOXX20 for 20% off your purchase through October, 2016. I hope I was able to introduce you all to a few new shops and I hope that you are all able to take advantage of these discounts! Remember, sometimes as a mama you need to stop and treat yo' self! You deserve it!! All of these small shops are awesome!! My fave is Noxx for sure! I looooove their beanies for my lil man, and now I’m gonna have to get a headband or 2 for myself!! I’m loving all of these shops! What awesome goodies! If I had to pick one though it would be Huddy Drew….or B Stamped! I love that saying on the wine bottle!! Haha so true! ? And that t shirt is so cute!! Love these shops! I have that wine glass and it’s my favorite! We love Noxx. love having matching headbands for my little girl and I. Love that shirt and the headband. I always need one of those! It looks like this was a pretty good day! I LOVE this idea for a post! I think my favourite things are the wine glass and the headband. Love! These are awesome shops! I always prefer to shop small when I can so I will for sure check these out! I love how the tee is a “typical” Mom tee, but the color and cut are so nice! That shirt can really be dressed up (or down). 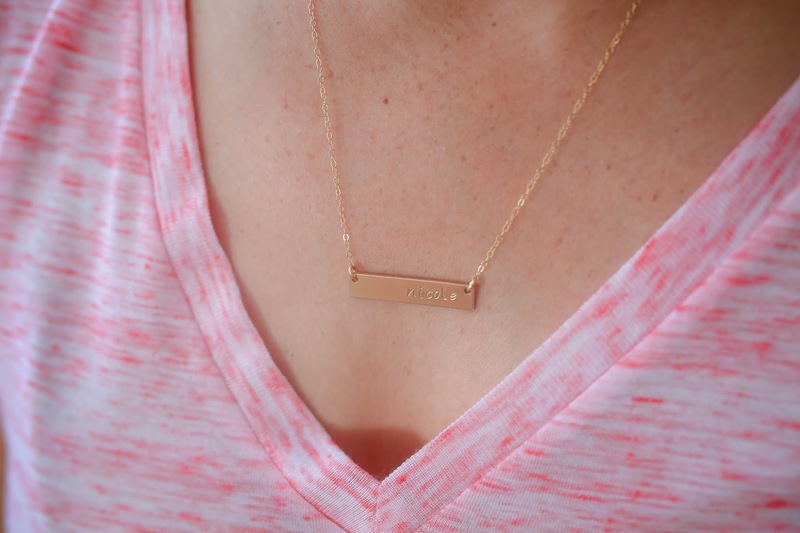 I also love the bar necklace…I have one of those on my wishlist! I’ll have to drop lots of hints around Christmastime! My favorite mom shop would have to be noxx. I love all your beanies! They are all wonderful small businesses!!! However, huddy drew has #momlife written all over it!! Can’t wait to score some awesome goodies!! “Rose all day” ? I love that headband! I need one to go with my mom bun. All great recommendations though! Heading over to check out these shops! Thanks for the discount codes!! My favorite shop is probably yours! Can’t wait until it gets cooler here to wear all the beanies we’ve gotten from you! Love that headband! Heading over to check out the clothing and purchase the headband. Love Noxx! You are stunning! I love it all! I want it all! Thanks for the recs! I love Mom Life Must Haves! Awesome post – found some new shops! Thanks! Love this post, Mama’s need love too! I love to take some time and pamper myself after the baby goes to sleep. I’m excited to try the urban organics line-it looks amazing! That shirt and wine glass is everything! Looking forward to stocking up on beanies again now that it’s cooling off ? Totally going to buy new headbands for when i’m in labor. I need that tee! Heading over to snag one for myself! Great shops! I need to do a little something for myself too! Thanks for the great recommendations. I’d never heard of any of these. I’ll have fun checking them out! Love it all!! And I love that you are sipping that rose all day ? I couldn’t agree more with mamas needing to pamper ourselves! Those leather earrings need to hop on over to my ears!